Hi. I'm Mike Lalonde, a National Guild of Hypnotists Board Certified Hypnotherapist and an instructor. I am also a internationally licenced instructor of Neuro Linguistic programming. I started Halifax Hypnosis to help clients by using Integrative Hypnosis, based on Hypnosis but also incorporating complementary tools and techniques from Neuro Linguistic Programming (NLP). The National Guild of Hypnotists, Inc. is a not-for-profit, educational corporation founded in Boston, Massachusetts in 1951. The Guild is a professional organization comprised of dedicated individuals committed to advancing the field of hypnotism. Their certification is taught in a dozen or more languages and they currently have over 7500 members in 45 countries. Local chapters operate in many major cities throughout the United States and other countries. When the National Guild of Hypnotists was formed about 10% of the members were hypnotherapists and 90% were students of hypnosis or demonstrational hypnotists. Now, fifty-eight years later it is the exact opposite - 90% of the members are hypnotherapists and 10% are demonstrational hypnotists. The National Guild of Hypnotists has a strict code of ethics and an ethics committee which acts promptly on any complaints. Many of the members are credentialed in other health fields such as medicine, dentistry, education, counseling, nursing, psychology and so forth. With their code of ethics and standards of practice they have taken the lead in establishing standards in the field such as required continuing education credits each year, a standardized core-curriculum taught by certified instructors, and standardized titles for practitioners. 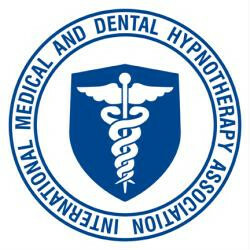 Founded in 1986, IMDHA promotes greater acceptance of hypnosis as a complementary protocol with broad applications. IMDHA is unique among Hypnosis organizations. Our members are required to take extensive Hypnosis/Hypnotherapy Education and earn 30 continuing hours of education each year to maintain membership. The members cross a broad rage of occupations and professions. They include and are not limited to: psychologists, psychiatrists, social workers, marriage and family therapists, mental health counselors, doctors, nurses, dentists as well as teachers, addictions counselors, priests, ministers and a vast variety of therapists. As an interdisciplinary organization, IMDHA provides an opportunity to learn from and interact with colleagues in diverse holistic health care disciplines. This allows for a cross fertilization of ideas and applications that meshes neatly with current trends, such as mind-body-spirit health and integrative medicine.